Greeting By His All-Holiness To The Toronto's Conference on the Ecumenical Patriarchate. It is with sincere paternal joy that we greet you from the sacred Center of the Orthodox Church. We are pleased to extend our paternal blessing as you commence the presentations and discussions of your conference on the Ecumenical Patriarchate, organized by our Metropolis of Toronto and Canada, entitled “Reflecting on the Past; Looking toward the Future.” We assure you that we are with you in spirit and in prayer. Today, you will be exploring aspects of an ancient and apostolic institution, the Church of Constantinople. 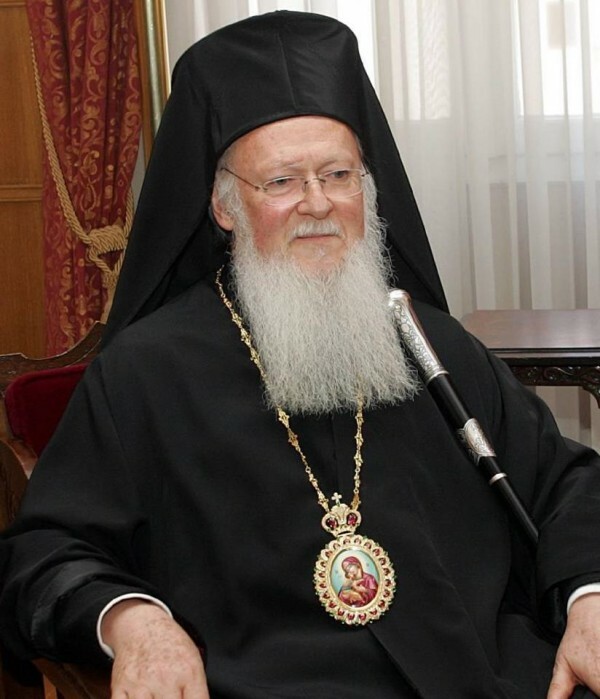 Through the centuries, the Ecumenical Patriarchate has maintained a unique ministry of embracing the world and presiding in love over the various churches, guiding and supporting them in times of difficulty and expansion. Today, it continues to serve in its pastoral and maternal capacity, supporting the various churches that face crisis (for example, previously in the Balkans, but also recently in the Middle East) and coordinating the unity that we all share as the one, catholic and apostolic church. Therefore, as you can appreciate, Orthodoxy is not simply a Church of the past. While it is faithful to Holy Tradition, it is also called to speak its prophetic voice and respond to critical contemporary issues: such as religious freedom and human rights (in Turkey, but also in the Middle East and throughout the world), as well as the mandates of our Lord to “make disciples of all nations” (through the sacred missionary activity of our Church) and “to serve and preserve the earth” as God’s creation (through the protection of the natural environment). This is why we call the Church a “living tradition.” For our vocation is to respond to God’s commandments and to fulfill His will “on earth as in heaven.” And we are called to do this in the specific place and time, where God’s providence has placed us. It is this vision that our Eparchies, including the Holy Greek Orthodox Metropolis of Toronto in Canada, have proclaimed throughout the world. And it is the same vision and global ministry of the Ecumenical Patriarchate that the Order of St. Andrew has been especially active in promoting. May the Holy Spirit guide and inspire your conference. And may God bless you and your families.